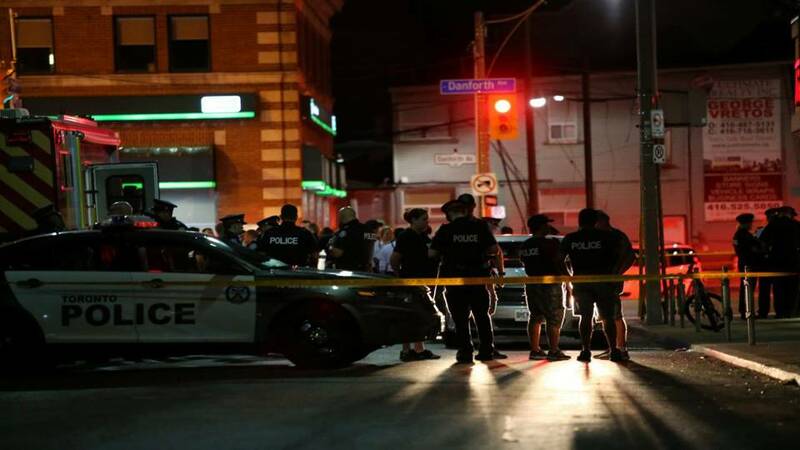 On July 22, Faisal Hussain, a 29-year-old man, opened fire in the Greektown neighborhood in Toronto, leaving 18-year-old Reese Fallon and 10-year-old Julianna Kozis dead. Thirteen other people, aged 17 to 59, were wounded. Researchers, analysts, investigators, and experts are still digging into his life trying to understand the motives behind his act. His family and relatives indicated that he suffered from depression, psychosis, and “severe mental health challenges”. They said medications did not help and the interventions of professionals were unsuccessful. Faisal Hussein was also known to police for having a history of mental health issues dating back to 2010. He was involuntarily held in a psychiatric facility in Toronto when he was under 18. Hussain’s prior contact with the authorities was exclusively related to his mental health problems. He had no criminal record before the attack and was not on the radar of national security agencies. In 2009 and 2010, Hussain privately told two teachers that he wanted to kill someone, and then he cut his forehead with a pencil sharpener blade. Once the news reached the police, he was apprehended under the Mental Health Act, but was later released because professionals assumed there wasn’t an immediate risk at the time. It was not clear whether Hussain killed himself or was killed by the authorities during the attack. But after conducting an autopsy on his body, the police said his gunshot wound was self-inflicted. 48 hours after the attack, ISIS, via its AMAQ news agency, took credit for the attack. The posting, shown below, was vague and simply stated the attacker “was a soldier of the Islamic State and carried out the attack in response to calls to target the citizens of the coalition countries”. The terrorist group offered no proof of a direct link to support its claim. Translation: “The person who carried out the Toronto city attack in south-east Canada on Sunday evening is one of the soldiers of the Islamic State and he carried out the attack in response to calls for targeting citizens of the coalition countries”. At present, there is still no sign that Hussain was actually inspired or directed by ISIS to carry out the attack. The claim published by ISIS’s media arm did not provide any evidence. Nor did Toronto police find any hard evidence to support ISIS’s claim. “At this stage, we have no evidence to support these claims,” said Toronto police Chief Mark Saunders. A Public Safety spokesman also said “there is no national security nexus to the shooter.” The RCMP too said they have seen no national security element. Nonetheless, many journalists and politicians are obsessed with trying to prove an ISIS link to the shooting. They claim that, by trying to uncover the truth and deliver real news to their audiences, they’re being true to their profession and avoiding political correctness. Once ISIS took credit for the attack, many of these media outlets switched to the “we told you” mode. New details that support ISIS’s claim of responsibility may surface later. However, ISIS claims aren’t what they once were. ISIS used to provide evidence for its attack claims, such as a statement of. allegiance from a perpetrator. In recent times, though, they have made more and more claims of responsibility for attacks on foreign soil without any hard evidence. Is it a change of strategy or just an empty thirst for attention and media coverage? It seems that, again and again, the “terrorism” label is often only applied in cases where the perpetrator is Muslim. And those cases also receive significantly more news coverage. Attacks committed by Muslims receive almost 400% more press attention, one study finds. They garner an average of 105 headlines, compared to just 15 for attacks by others. For instance, in Canada, Martin Couture-Rouleau, who rammed his car into two soldiers, killing one, and Michael Zehaf-Bibeau, who killed a soldier, were not presented just as two local criminals or “lone wolves,” despite being assessed with chronic psychological problems. They were immediately labeled terrorists and their crimes were attributed to their Islamic faith. Meanwhile Justin Bourque, who attacked five RCMP officers and killed three, is simply a murderer. The fact that Bourque grew up in a “religious fanatic” environment and believed he was “a soldier of Jesus Christ” did not make a difference. His crime was never linked to terrorism. Similarly, Alexandre Bissonnette, the Quebec mosque shooter, has been seen as “disturbed,” mentally deranged, “sick,” and “demented”. This Toronto shooting is also reviving the debate about gun safety and legislation in Canada. A CP24 safety specialist says a police source has told him the handgun used by Hussein is originally from the United States because it is illegal in Canada. According to the Toronto police, half of the guns used for criminal activity were smuggled into Canada from the United States, but the other half were first bought here legally. First things first, we don’t have the full picture yet and we should not rush to conclusions. Hussain’s surroundings were a mishmash of drugs, gang-related activities, and a lifelong struggle with depression and psychosis. One of his long-time friends was released on bail after being accused in the largest seizure of carfentanyl in Canadian history – along with 33 firearms and ammunition – in his Pickering rental property. His sister was killed in a car accident. And his brother, who is still in a coma from a drug overdose, was also charged for selling cocaine.